For some, dying is easy. For others, dying is their only hope. Charlie Dawes lies in the Old Oak Hospice haunted by the looming specter of death, plagued by dark memories, stalked by a mysterious, faceless creature he knows only as the Shadowman, who won’t let him die…yet. Cathy Redman, his only friend and a caretaker in the ward, spends her time reading to Charlie and comforting his pain. She thinks she knows him. 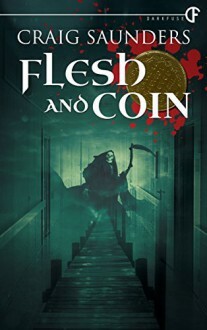 But when an inquisitive detective, a spiteful nurse, and a dangerous old Gypsy’s lives intertwine, Charlie’s true fate is revealed, and it has been sealed by...flesh and coin.